Albert Reimann Sr. and his son, Albert Reimann Jr., used forced laborers under the Nazis during World War II to work in their industrial chemicals company. The family who owns several well-known businesses including Krispy Kreme Doughnuts and Panera Bread learned that their ancestors supported Hitler and used Russian civilians and French prisoners of war as forced laborers to work in their factory. The claims against the Reimann family were made Sunday in a four-page report by the German tabloid Bild, and confirmed by family spokesman Peter Harf. "We were ashamed," Harf told the outlet in an interview published Tuesday that was translated into English. "These crimes are disgusting." According to Bild, documents uncovered in Germany, France and the United States reveal that Albert Reimann Sr. and his son, Albert Reimann Jr., used forced laborers under the Nazis during World War II to work in their industrial chemicals company. It's not clear how many laborers were used, but Bild reported in 1943 that they made up about 30 percent of the workforce at the factory. Harf, who is one of the two managing partners of the Reimann's JAB Holding Company, told Bild that the claims are "all correct." Harf did not immediately return NBC News' request for comment. He also said the Reimann family hired a history professor at the University of Munich in 2014 to investigate their family's Nazi ties after finding documents belonging to Reimann Sr., who died in 1954. Reimann Jr. died in 1984. The professor's findings were presented to the Reimann children, a grandson and Harf a few weeks ago and were "consistent" with Bild's report, Harf said. The family said it plans to donate $11.3 million to a charity, but have not yet decided which one, and will also publish a book with the professor's findings. JAB Holding Company acquired Panera Bread in July 2017. 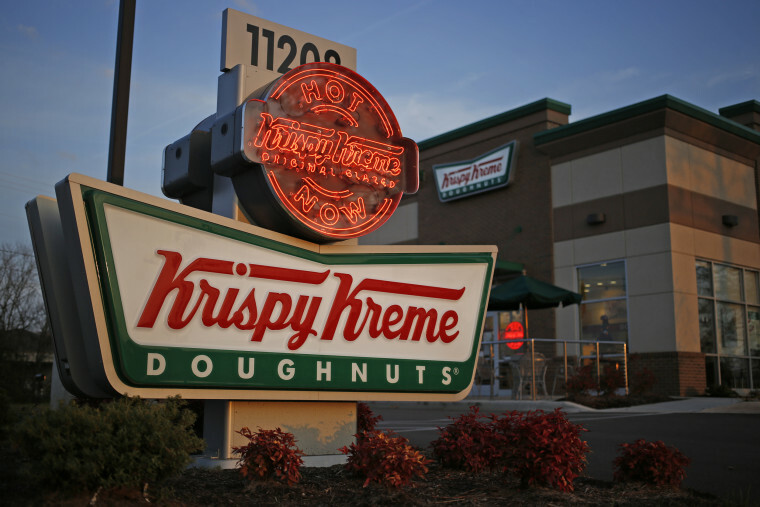 JAB Beech Inc., an indirect controlled subsidiary of JAB Holding Company, acquired Krispy Kreme in May 2016. In addition to Krispy Kreme Doughnuts and Panera Bread, the Luxembourg-based JAB Holding Co. has controlling stakes in Keurig Green Mountain, Peet's Coffee & Tea, Caribou Coffee Co., Pret a Manger and other companies.